Residence: Houston, Texas / Birthplace: New Orleans, Louisiana. 126 WBC super lightweight world title bouts have been held in WBC history. This will be the 71st WBC super lightweight world title fight in the United States in WBC history. Jacksonville Jaguars star running back Leonard Fournette will be ringside on Saturday, July 14, at Lakefront Arena in his hometown of New Orleans to support fellow native and top-rated junior welterweight Regis “Rougarou” Prograis (21-0, 18 KOs) in his 12-round hometown clash with undefeated Juan Jose Velasco (20-0, 12 KOs), of Argentina, at Lakefront Arena. Born in New Orleans, the 23-year-old Fournette is a graduate of St. Augustine High School and was a collegiate star at Louisiana State University before being drafted in 2017 in the first round by the Jaguars. 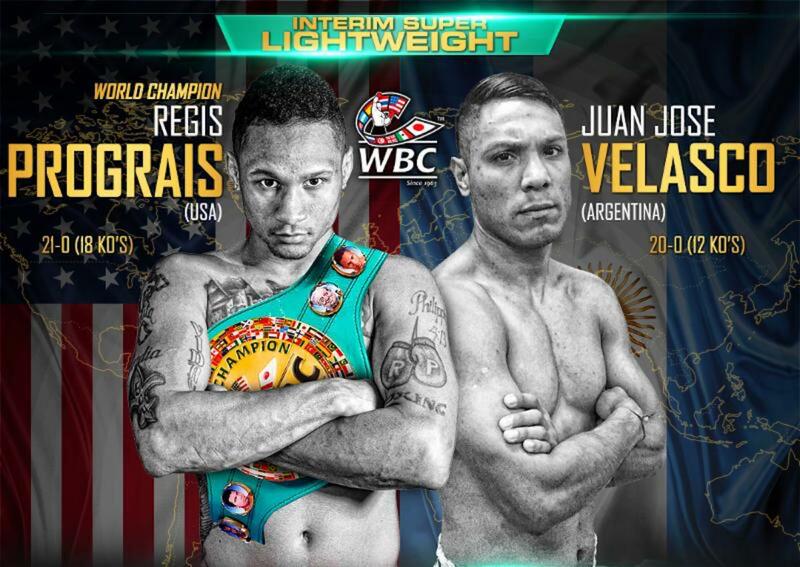 Presented by Top Rank, in association with DiBella Entertainment, the highly anticipated main event between Regis “Rougarou” Prograis, of New Orleans, and undefeated challenger Juan Jose Velasco, of Argentina, for the WBC Diamond Super Lightweight Championship, will be televised live on ESPN and ESPN Deportes at 7 p.m. ET. The exciting undercard will be broadcast on ESPN+ beginning at 4:30 p.m. ET. Tickets, priced at $200 (ringside), $125 (floor), $75 and $40, can be purchased in advance at the Lakefront Arena box office, Ticketmaster.com and charge by phone at 800-745-3000. Discounts for military, students and the New Orleans Police Department members – $75 tickets for $50 and $40 seats for $25 – are available when presenting valid ID at the UNO box office. Doors on the night of the event open at 3:00pm CT, with the first fight scheduled for 3:30pm CT.
Fournette will also make an appearance in the VIP room during the event and will be available for photo-ops if any fans with a VIP ticket should catch him in there. For VIP ticket inquiries, please call the DiBella Entertainment office at (212) 947-2577. Next boxing news: Mikey Garcia insists he’s deadly serious about Errol Spence fight: You guys think it’s a joke but I’m gonna do it!